Lucky enough i got a chance and i actually able to made it to BarCamp 2016. I had bad experience with Bangkok Airway during travel, that listed in other blog. But its full of nice experience after coming to Myanmar. People here are very supporting and kind and indeed nice place to visit. 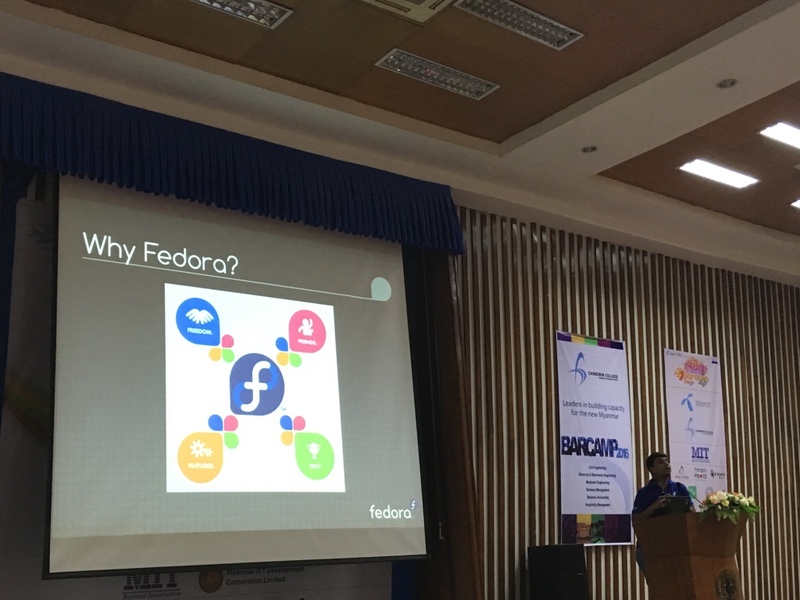 Our plan was to represent Fedora strongly with multiple talks. Me travelled from India and Leap Soak from Cambodia. We had 2 meetings before BarCamp Yan and his team mates. Yan suggested to be at BarCamp around 8pm, so we will get slot quickly. I already thought its too early but since this is my first BarCamp tried to be early. Me and LeapSoak reached early around 8:30 to MICT Park. Location was indeed good with nice campus and good crowd. After inauguration, everyone started running to propose there talk for BarCamp. They were allowing only 1 talk per person. Me submitted talk on Learning Unicode. I thought there will be some voting on talks to get it finalized. But it was almost 13 parallel tracks and enough to accommodate all talks. Since most of the talks were in burmese language we were simply doing networking there. During time i requested if i can submit one more talk and luckily got permission :) I submitted other talk on "Basics of FOSS and Introduction to Fedora". It was scheduled in main conference room. We planned to distribute Fedora 23 DVD's during this talks but we actually forgotten DVD's at hotel ;) Our hotel was near to Venue so i quickly took taxi and collected DVD's for distrbutiion. 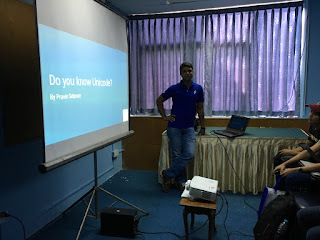 Felt good for getting chacne to talk on "Basic of FOSS and Introduction to Fedora". Got number of questions mostly on Fedora side. I felt few people were finding it difficult to understand either English or may be its our ascent, so Yan did transaltion for me for few questions. We distributed 50 DVD's to interested participants and also announced regarding Fedora 23 release event just after BarCamp. Room was bit smaller, for around 20-30 people. 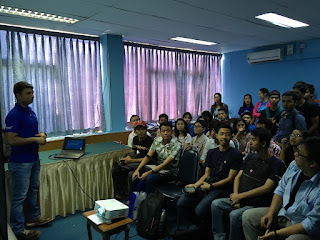 30+ students attended talk by standing. I covered all basics of Unicode. 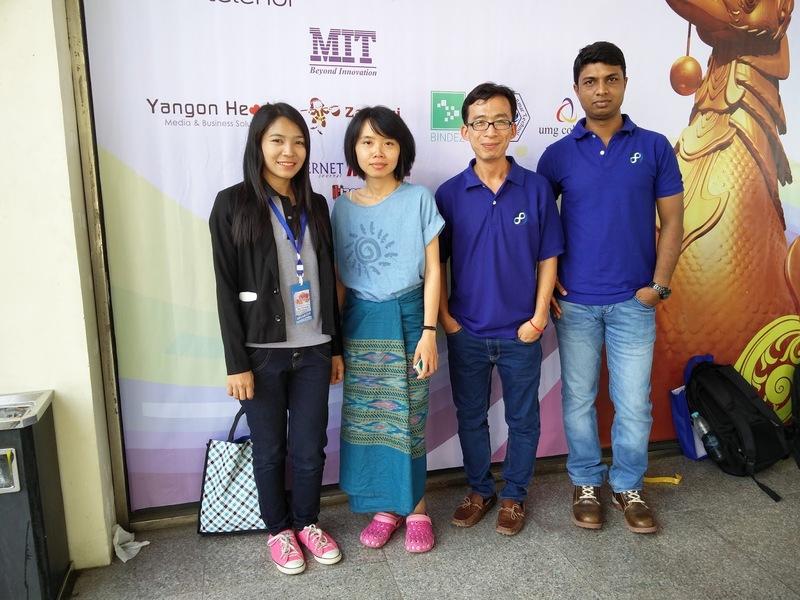 Number of people came after talk and said they want to move ahead with Unicode from zawgyi and need support from me. I forwarded my presentation to them. Since all other talks were in Burmese, was simply waited there for some time and went to Hotel. Leap mate with some old friends at BarCamp first day and we decided to go China Town for dinner, had good time with all. Second day was bit relaxing. Reached to BarCamp around 9:30am, still came to know, they accepting talks around 10am. Attended there first talk, something like KeyNote. It had few impressive stats regarding How many people registered, how attended on first day. etc. I submitted my talk on "Fedora Globalization - How to cater local needs" got 1-1:45pm slot in room 204. Had one technical issue, projector cable was not working. Had over all good talk and lots of questions and discussion. 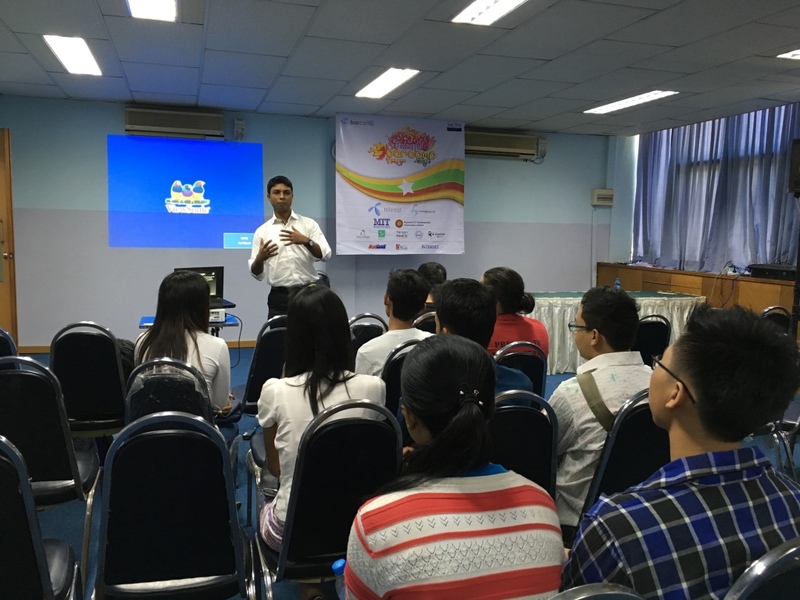 Few more people again mentioned issues regarding Unicode and Zaw-gyi. 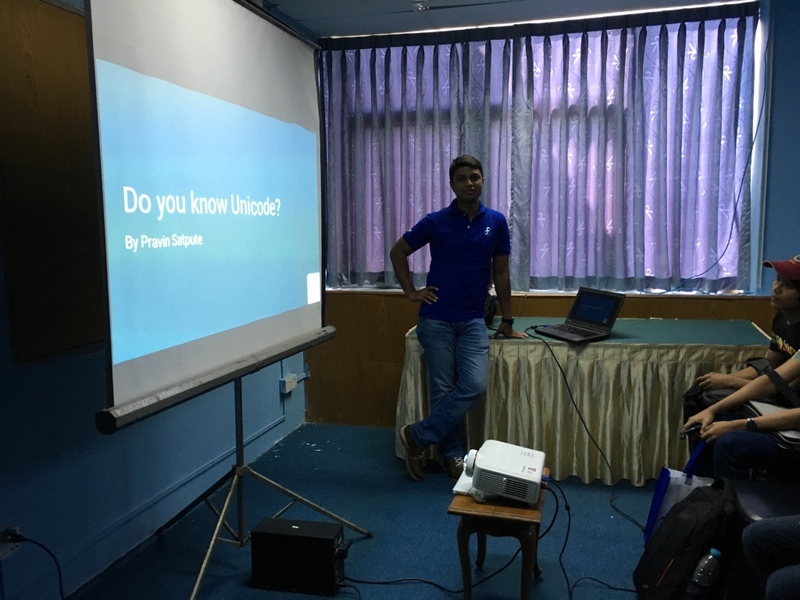 I provided slides of my Unicode talk to them. I think there are number of people wants to move Unicode but i am still not clear what is issue. I think they are planning to write some article on issues. Looking forward to work with him on this. Around 5pm, BarCamp had closing ceremony, where again language of communication was Burmese :) They distributed gifts with lucky draw to students. Fedora talks were well taken, students need more guidance to get starting with Fedora. I thought BarCamp is more risky from quality side, but had good topics from so many people. Start-up was trending topic, almost 5-6 people talked on it. May be good to have few more talks in English language, need more international speakers. There was good marketing drive from companies like telenor and universities at Venue.